Let's be fair. Managing one site is a headache, and by adding a few more to mix, what do you have? 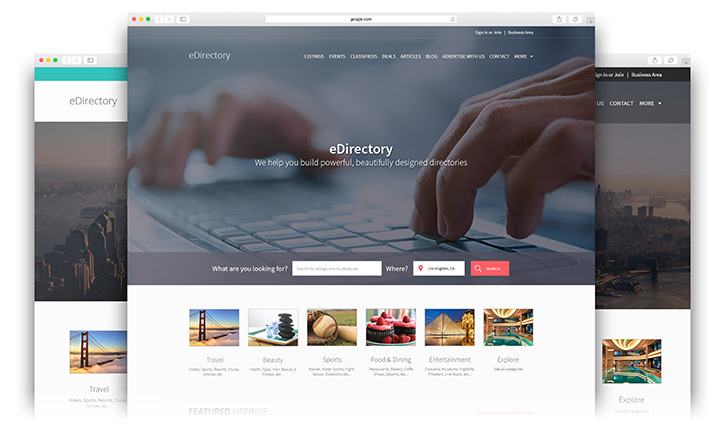 Have no fear because eDirectory has the multi-site manager, which, in a nutshell, means you can manage more than one eDirectory installation from a single unified interface - now that's handy. eDirectory features the ever popular multi-site administration. You can manage multiple sites from within one single site panel - what could be easier than that? Run multiple sites off of one backend, with one administrative interface, and thus, saving time and giving you a clear view of your business. Keep your customer database centralized. With one login a customer can buy listings on multiple sites. Want to attack a new market? It's easy to add a site on an existing eDirectory; and you can use the package builder to cross promote, which enables you to get it off the ground quickly.